GW Scientific provides support at all levels of data collection projects. Our services range from developing watershed-scale Mesonet and geotechnical data networks to monitoring building and facility performance for research and operations support in some of the harshest cold-climate terrains in North America. Our cooperative projects with Universities and Industry keep us on the leading edge of data collection design, integration, and interpretation. 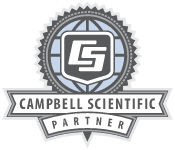 GW Scientific's partnership with our clients often begins at the fund-raising and design stages to help ensure project success. We are leading integrators of data collection networks, telemetry systems, and use of the Internet for near-real time data reporting. Services include design, break-in testing, system and metadata documentation, and installation. If you require maintenance for ongoing operations, GWScientific also provides service contracts.